Chapelgreen Practice has a long history of being involved in GP training, having been associated with the local Vocational Training Schemes for more than 30 years. Many of the GPs at the Practice, were trainees here earlier on in their careers. We believe that training gives a fresh and up to date approach to general practice allowing variety in the service that we can offer. By training we ensure that high standards of care and organisation are delivered and this is externally assessed. The whole Practice has a commitment to training. Please note, appointments with trainees are longer durations than standard appointments. There are currently 4 trainers, Dr Kemp, Dr Mills, Dr Croft and Dr Story. Dr Mills is a Programme Director for the Sheffield General Practice Speciality Training Programme. 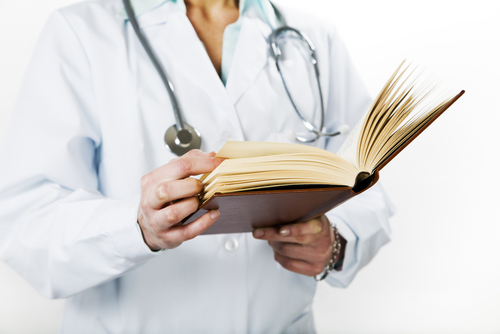 What is the difference between a registrar and the other practice doctors? GP registrars are fully qualified doctors who have had recent specialist experience in the Hospitals. The doctors at this stage of their career have committed to general practice as a career. These doctors are learning about delivering clinical care in general practice. They are undertaking supervised practice. The appointment slots may be longer than usual and the registrars have regular sessions with one of the other doctors later in the day to discuss any uncertainties they may have. On occasions a doctor will be video-recorded while conducting a surgery for teaching purposes. We will seek your agreement to be videoed before the consultation. If you are unhappy about the video then let the doctor know and it will be turned off and the consultation will then proceed as normal. You will be alerted to this again by posters in reception and at the self-check in screen, and you will also be required to sign a Consent to Video form. These recordings are not of intimate examinations, and you can request not to take part in these. We would like to advise that as a training practice we have registrars that take part in Joint Surgeries; this means that as well as seeing a doctor there will also be another doctor sat observing. These surgeries are vital for registrars who are qualified doctors but who are training to be general practitioners. We put posters on reception and at the self-check in screen to inform you on the day. Unfortunately we are unable to inform patients of these surgeries on our online booking system but please be assured that there will be notices in the surgery when these situations are taking place. If you feel you are unwilling to participate in this training we would advise you to contact the practice by telephone or face to face rather than use the online booking system.